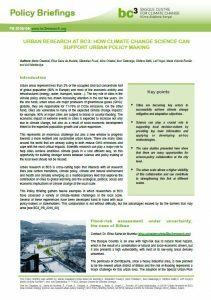 -Cities are becoming key actors to successfully achieve climate change mitigation and adaptation objectives. .
-Science can play a crucial role in supporting local decision-makers by providing top level information and applying or developing ad-hoc methodologies . 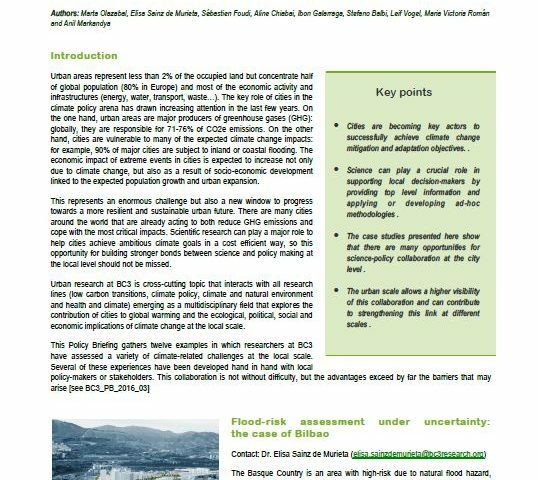 -The case studies presented here show that there are many opportunities for science-policy collaboration at the city level . -The urban scale allows a higher visibility of this collaboration and can contribute to strengthening this link at different scales .